This post was developed in partnership with Driver. I refer to the period of time right after my diagnosis as "emotional quicksand" - cancer controlled my whole life. Prior to being diagnosed, I was in the prime of my life and felt as though I was in control of my future. Then, suddenly, I was sucked into the world of cancer and pressured into making major decisions about my health without understanding all of my options. Today I know that I hold the power to manage my care and that doing so gives me freedom to live life on my terms, not cancer's. It's up to me to take charge rather than to leave my care to someone else. This starts by arming myself with the knowledge and tools that put me in a position of power and ensure that I am always in the best position to manage my care (and survivorship). Luckily, there are people working to make this a reality for all cancer patients and survivors, and that's exactly why we have partnered with an exciting new start-up called Driver. Driver is a first-in-kind consumer platform that unlocks access to the world's best cancer care. 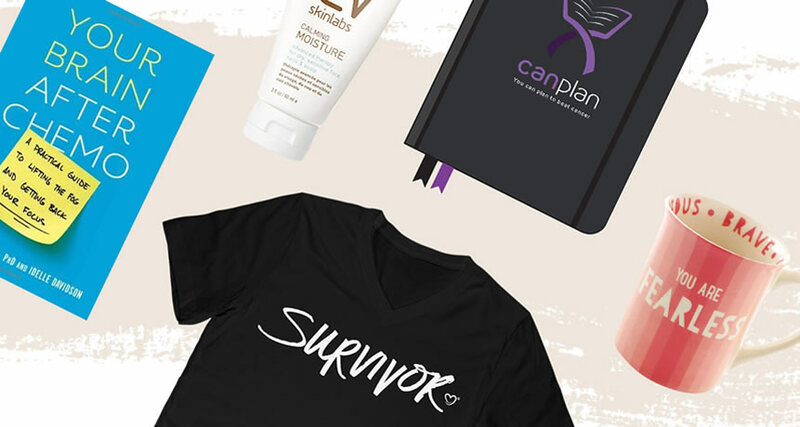 Their platform combines science and technology with the expertise of oncologists, nurses and cancer survivors. Driver allows you to own and understand your medical records and your unique clinical history, manage your care, and, if needed, request a second opinion. They have just launched a Beta Program for the IHC community. To help celebrate this, I wanted to look back at all of the thoughts and misconceptions that once made me feel as though I didn't have any access or control and compare them with the reality that I know today. 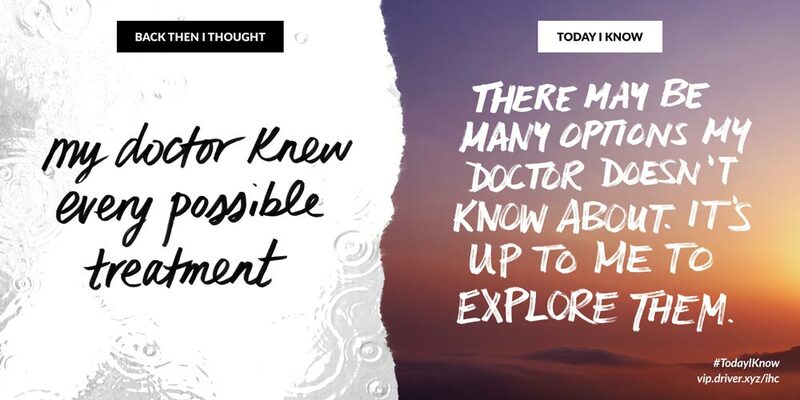 As you read on, let me know if you experienced any of these thoughts early on in your diagnosis by sharing your own #TodayIKnow experiences in the comments below and on social. 1. Back then I thought medical records were only for hospital administration. 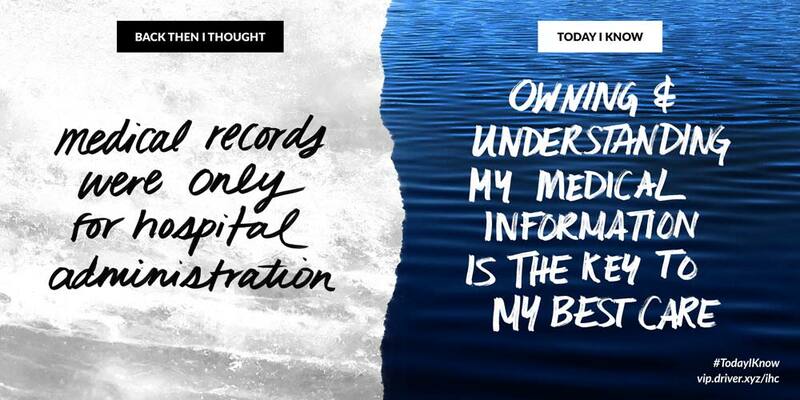 Today I know that owning and understanding my medical information is the key to my best care. 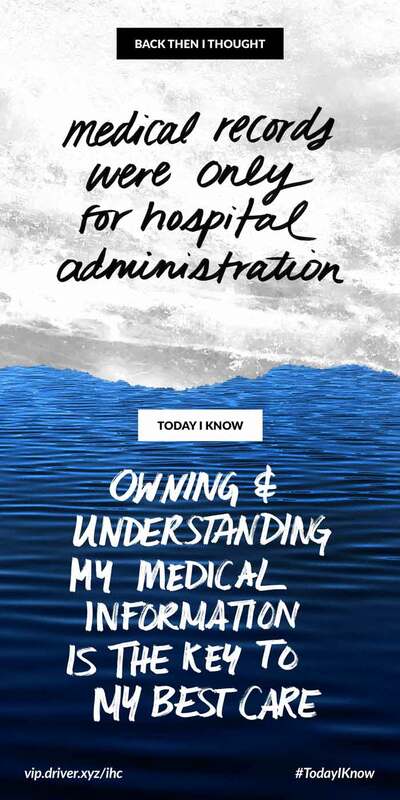 When I was first diagnosed, I assumed that my medical records were used for hospital administrative purposes only. I didn't know that they were key for second opinions and very important for me to understand my own diagnosis. Today I know that my medical records are far from organized. In fact, they are stored at multiple institutions and requesting them could take days, or even weeks to compile. That's not okay - my medical records should be mine and in my control. I should have access to them at all times, and they should always be up to date. I also know now how important it is for me to not only to have access to my medical records, but also to actually understand them. That's why I am grateful for Driver's ability to collect and organize my medical records and information from multiple sources, update my records every time I visit a doctor, and give me access to all of my information on the go, when I need it. This is exactly what I need to own and understand my information. 2. Back then I thought my doctor knew every possible treatment option. Today I know that there may be many options my doctor doesn't know about. It's up to me to explore them. When I was diagnosed with Stage II breast cancer, I was caught completely by surprise (as most patients are) and frankly, I knew nothing about cancer. It all happened so quickly, and according to my doctors, my options were incredibly limited. I, like many patients, didn't know that I may have had additional (and potentially better) options beyond what my doctor presented to me. All I was told was that I needed a lumpectomy or a mastectomy along with chemo, and that I had to begin immediately. It wasn't until I met a stranger, by chance, that I realized there is almost always more than one option - and that getting a second, third, or fourth opinion is an option in itself. Today I know that I definitely did not have access to all of my options. The information a patient receives depends on where they go, who they see, and what that individual doctor knows. The reality is that your doctor is likely not on top of the latest information, since the explosion of research has outpaced any single doctor's ability to remain up-to-date - let alone have the capacity to filter the best available treatments for his or her patient. Luckily, Driver can help with this. Driver enables patients to easily explore all of their treatment options and get second opinions by providing visibility and unprecedented access to the world's largest inventory of treatment options. With Driver, you'll gain access to respected and experienced oncologists that can address any questions you may have. This allows you to get a second opinion from an objective third party, so you never have to doubt that you're making the right decision about your care. 3. 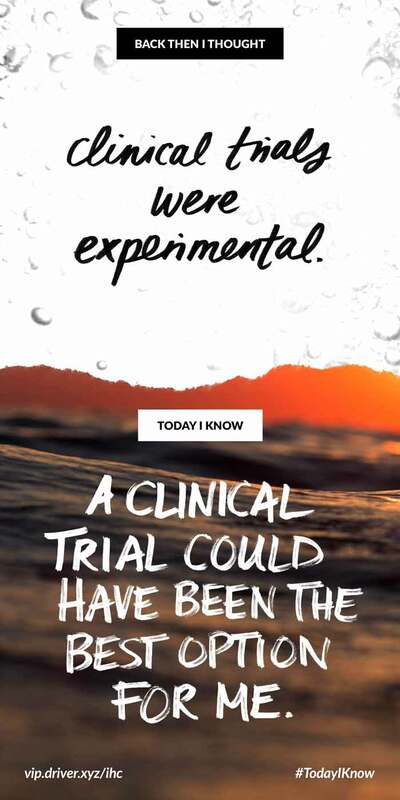 Back then I thought clinical trials were experimental. Today I know that a clinical trial could have been the best option for me. I used to think, like many do, that participating in a clinical trial would make me a 'guinea pig.' I thought that there was a possibility that I would receive a placebo instead of a real drug, which would put me in danger, and that clinical trials were expensive, time-consuming, and simply not the right fit for me. 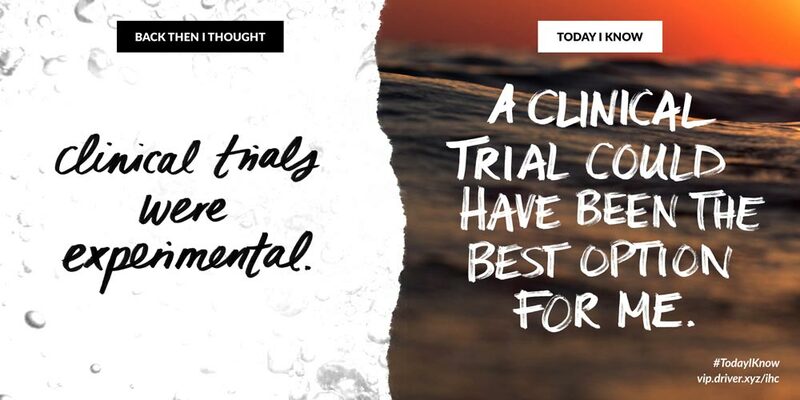 Today I know that all of those are myths and that participating in a clinical trial could have been a viable, or even the best, option for me. 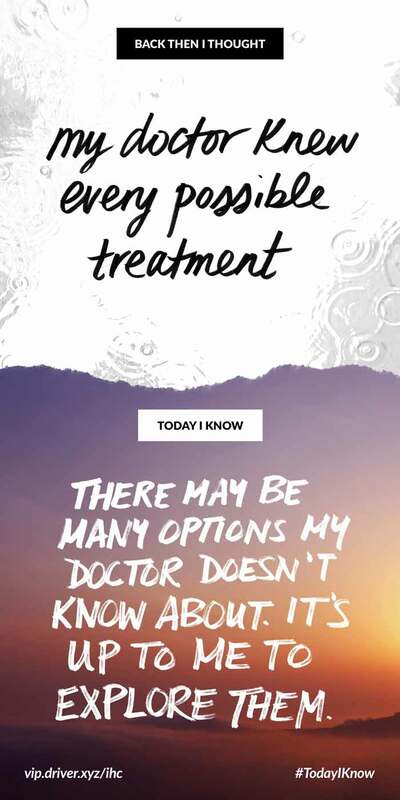 Without access to credible information about clinical trials and visibility into potential clinical trial options, it was impossible for me to truly weigh all of my possible treatment options. If only Driver was around back then! They make it possible for patients to identify clinical trial options in an easy, brand new way. Unlike the typical process, which would require you to physically travel around the country - including paying for flights and hotels - in hopes of getting an appointment with the right doctor to find out if you are eligible (with no guarantee or availability at those institutions), Driver gives you access to the world's top 30+ cancer centers, right from the comfort of your home. 4. Back then I thought I was the only one going through this. 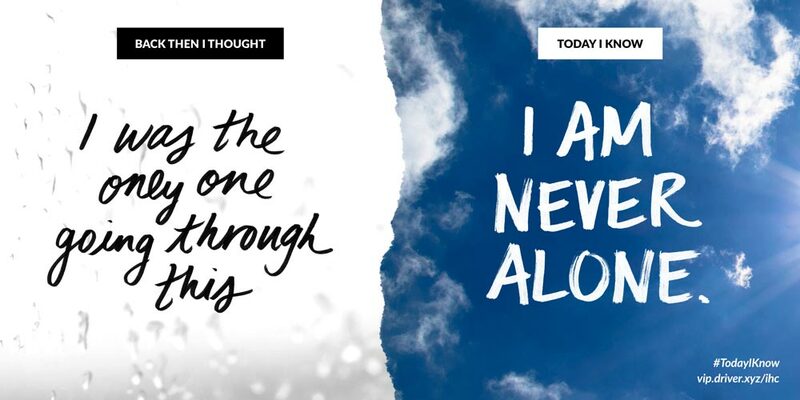 Today I know that I am never alone. Despite unconditional love and support from my friends and family, they just didn't understand what I was going through. Only someone who has been through it can really understand, and I didn't know anyone my age, with my type of cancer, who had walked this road before me. I also didn't know of any resources that could help me navigate this new world. I couldn't help but feel as though I was the only one who had ever been through this, even though deep down I knew it wasn't true. 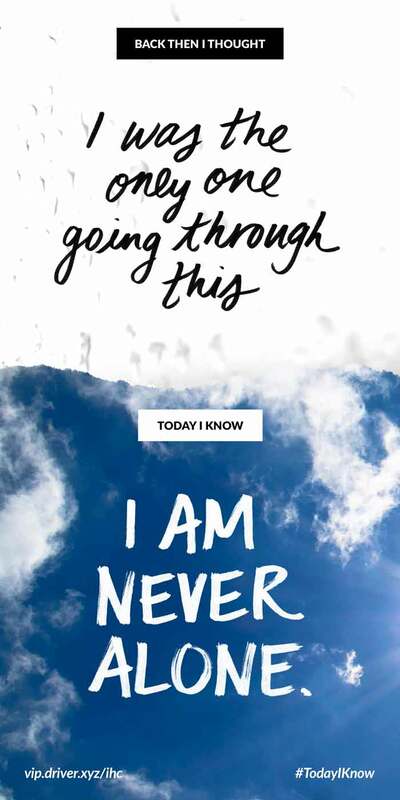 Today I know that there are people all around the world who not only have been through this before me, but also who have come out on the other side and are able to guide me (and you!). Even if you are in a remote location, there are connections and resources waiting to be discovered, and you don't have to go through this alone. With platforms like Driver and IHC, you have access to a community of survivors, fighters, supporters and professionals who are ready to help. Taking back control and being in the driver's seat of your care has never been easier – especially thanks to people like Driver (pun intended :)). If you join Driver during their Beta Program, you will be among the first pioneers of a new movement that enables patients to become the Driver of their care. Driver is not only giving our community early access, but also an opportunity to provide feedback about the messaging and services to ensure that their offering fully meets the needs of the cancer community. It is very important to them to serve this community and they'd be very grateful for your honest and candid feedback. When a service as unique and necessary as this comes around, we know we have to get involved and share it with all of you. When it comes down to it, control is all about peace of mind, and that's exactly what Driver can provide for you or for a loved one. Mailet Lopez is a breast cancer survivor and the founder of IHadCancer.com! Read her full story and learn more about the treatments she underwent by connecting with her.